Metal high integrity dual RCD consumer unit to BS 7671 IET Amendment 3. BS 61439-3. MK Metal 17th Edition Amendment 3 High Integrity Dual RCD + 12 MCBs Consumer Unit 15 Way is rated 5.0 out of 5 by 6. Rated 5 out of 5 by john121 from Great Recommended, does what it says on the tin! Rated 5 out of 5 by Benyard from Good quality board Bought and fitted last week. Good quality board with plenty of room inside and lots of spare mcb’s. Would be nice if there was a 40mm knock out for the tail gland. Rated 5 out of 5 by kennyxxx from Good sturdy metal consumer unit Instructions were very explicit and construction of consumer unit very sturdy. Rated 5 out of 5 by Jock Nobby from Excellent Product Excellent product, Excellent service. In stock and cheaper than others. 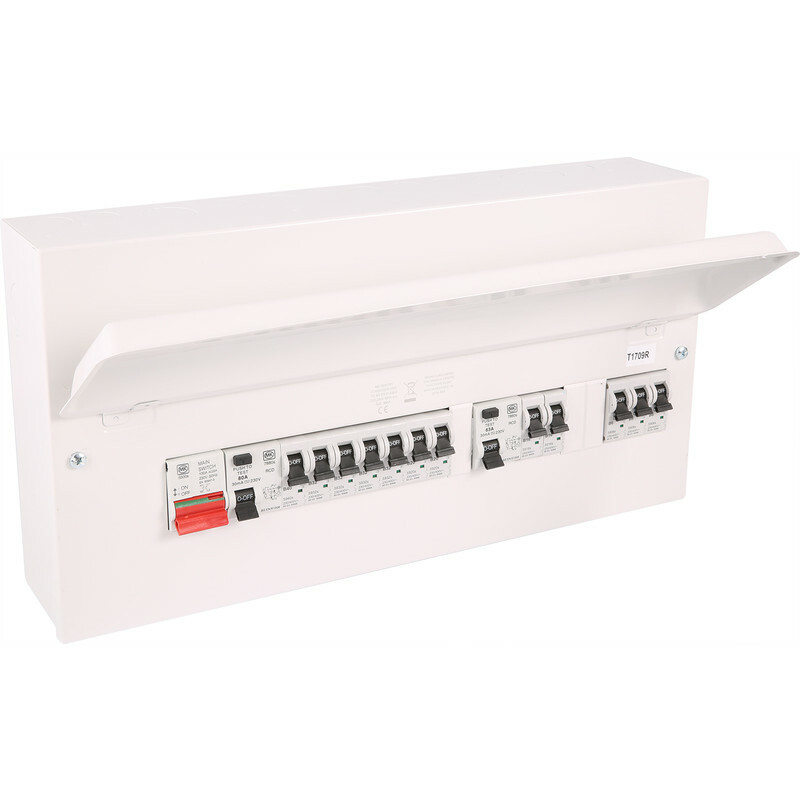 Rated 5 out of 5 by Rod D from Prefect for my house I bought this as I needed a Consumer Unit with RCD and enough ways for the main house, extra RCD ways, and a non-RCD breaker for the garage which has its own RCD consumer unit. It is important to me that nuisance trips of the RCD do NOT disable the freezer or essential services like telephone, alarm, and wifi. I was about to despair when I saw this new Toolstation introduction. Perfect! MK quality and at a reasonable price!